Artists around the world are invited to apply to Auckland Print Studio’s 4th International Artist-in-Residence program, to collaboratively produce a suite of hand-printed lithographs. Having printmaking experience is not a requirement, thus all artists are welcome to apply. The Residency is scheduled for 13th December 2013 through 19th January 2014 and lasts 5 weeks. Shared accommodation and all printmaking materials are included. Trips to some of New Zealand’s famous west coast beaches are also an integral part of the residency! Project materials such as paper, ink, plates, etc. 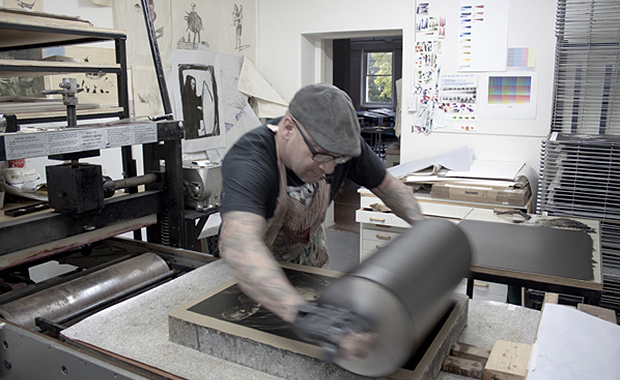 Founded in 2008, Auckland Print Studio specializes in stone and photo-plate lithography and is located in Auckland, New Zealand.